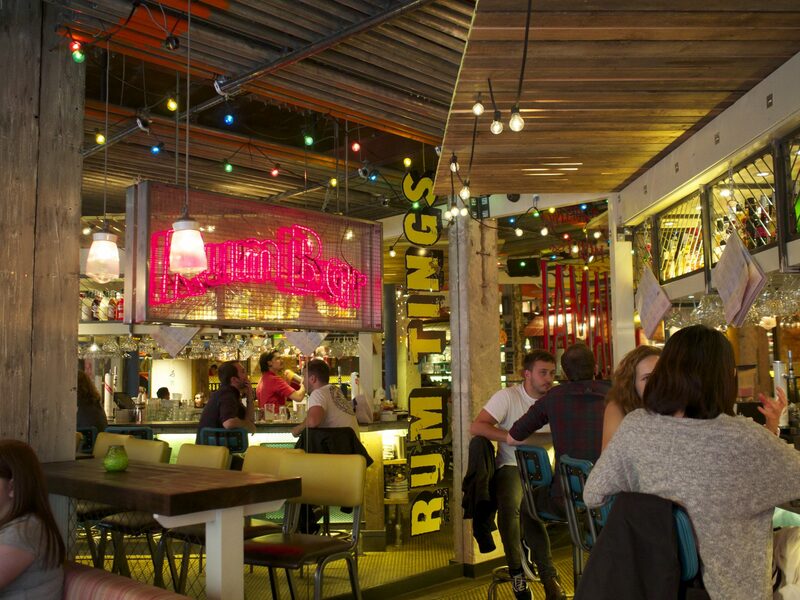 The minute you walk into Turtle Bay you’re hit by the party vibes and island-life atmosphere. From the bar serving a multitude of cocktails (they have a selection of over 40 rums from across the Caribbean) to the reggae music and genuinely cheerful staff, it makes for a great first impression. 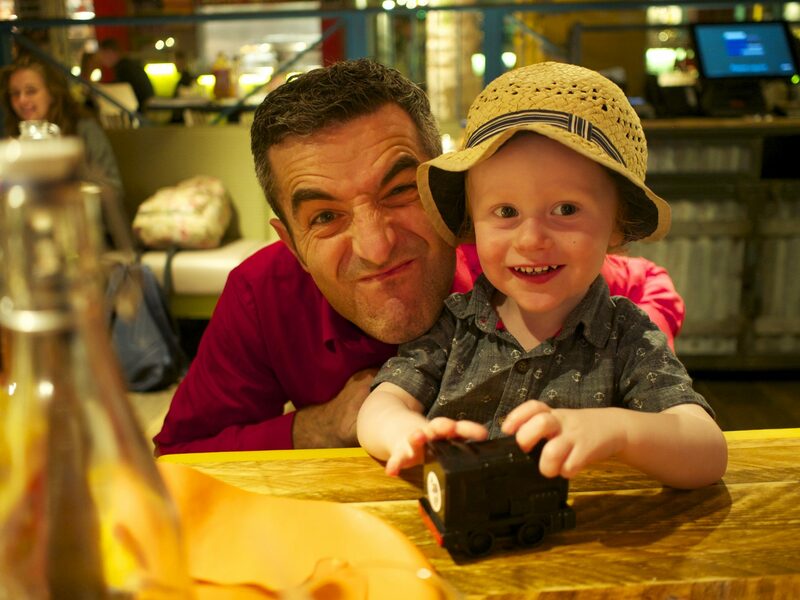 We were shown to our table and introduced to our waiter Davide who immediately made Little Dude feel at home by being silly and making him laugh. 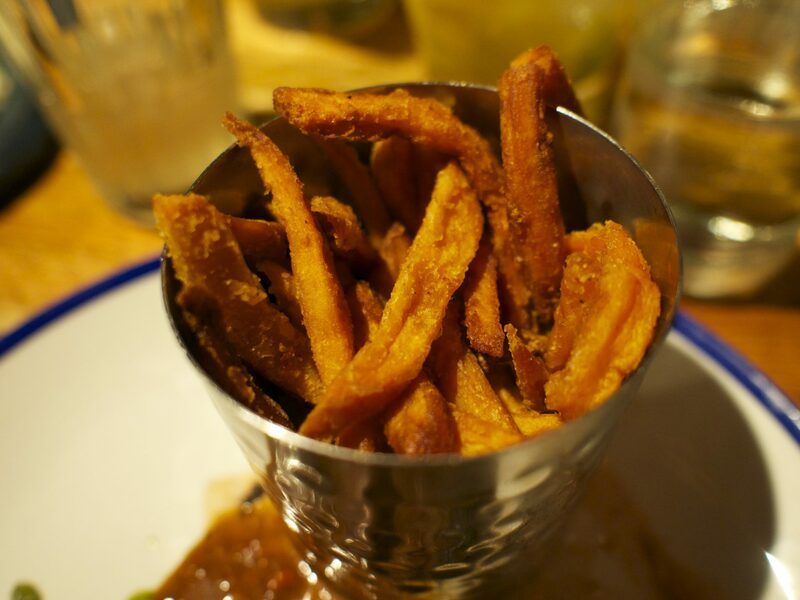 Having been to Turtle Bay a few times since it opened it’s doors in Newcastle at the start of the year, we were excited to try some new things from the menu. 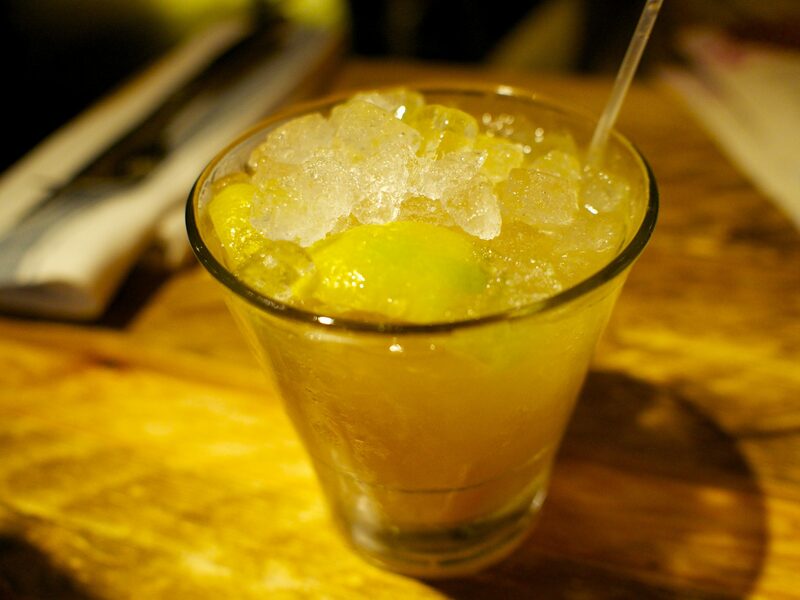 But first, time to check out those cocktails….. I went for the Mash Up – Appleton Special rum, Barbados clove liqueur, fresh ginger, muddled fresh oranges & limes (£6.95) since it was happy hour and the Mr was driving I had to have two, couldn’t let that 241 go to waste! They also do delicious soft drinks so he plumped for a home-made ginger beer with spiced pepper, cloves & fresh lime (£3.60). I highly recommend the Mash Up if you like your cocktails tangy and spicy, not too sweet and very boozy! The Mr loved the ginger beer so that’s a great alternative if you’re not drinking. 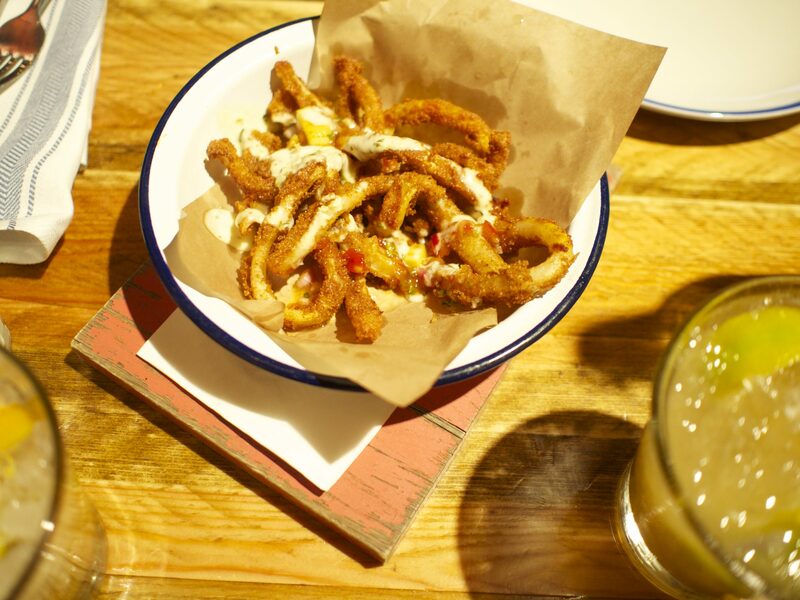 Perusing the food menu the Mr was immediately drawn to the Chilli Squid – crispy spiced coated squid, mango mole, fresh lime & coriander mayo (£5.95). 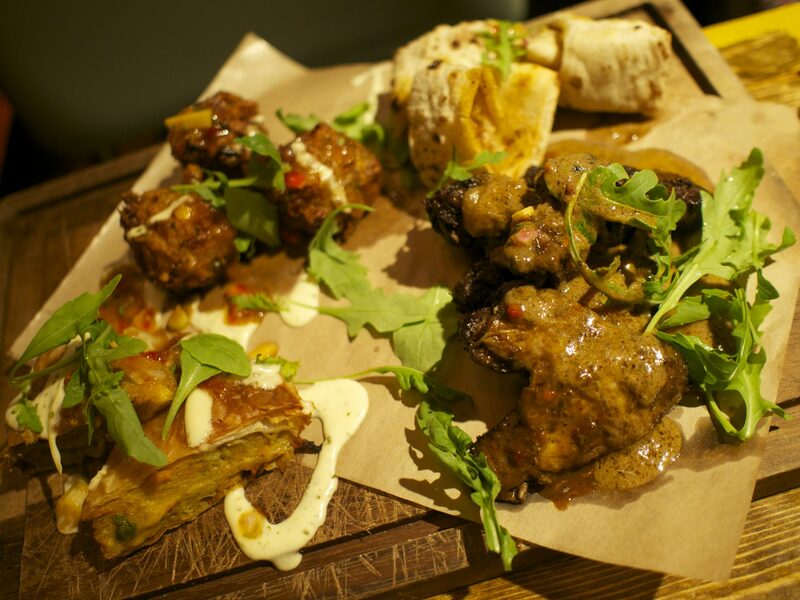 We also chose the Beach Food Platter so we could try some new flavours – A selection of spicy jerk chicken wings, pepper roti, sweet corn fritters, & garlic ‘n’ herb flatbreads (£12.95). Little Dude was very impressed with the views out the window of bus after bus going past, he was in toddler heaven! 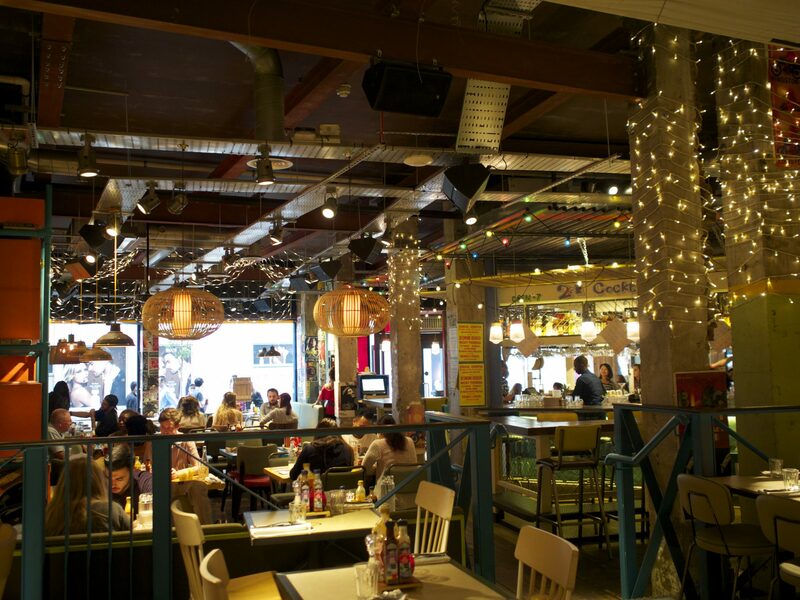 Turtle Bay is located next to The Gate in an area that is buzzing with new restaurants and hotels at the moment. We clearly weren’t the only ones keen for some Caribbean spice as there was a real mix of customers despite it being 5pm on a Tuesday. Our starters arrived and we dove straight in. Little Dude’s kids meal had arrived too, which is handy if you have a hungry child who can’t wait, but we prefer to give him some of our starters and all eat mains together, so we left it to one side to cool down while we tucked into the appetisers. The chilli squid was delicious; nicely balanced flavours, slightly spicy and perfectly cooked squid. With some mayo to dip it in and lime to squeeze over the top, even LD was tucking in! 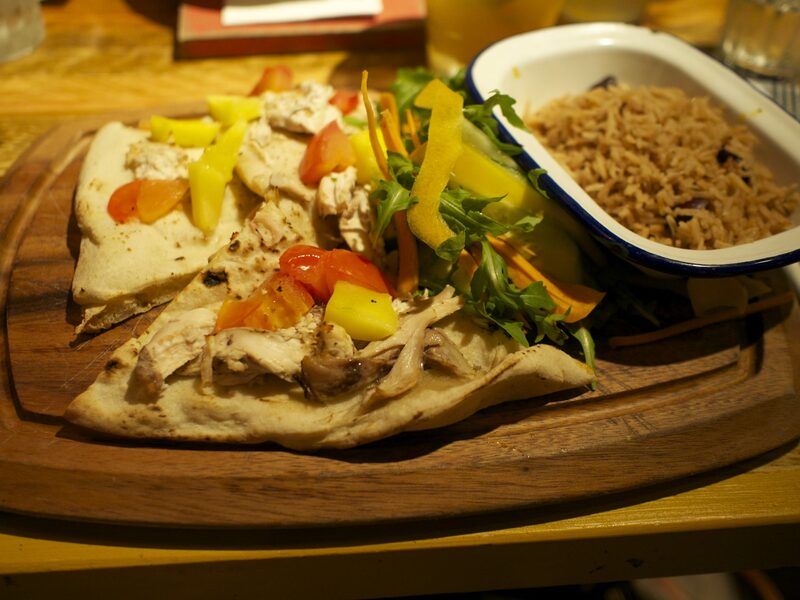 The platter comes with a choice of either jerk or coconut glaze and we chose coconut but ended up getting jerk – it tasted good though so we weren’t too upset! The chicken was spicy and tender, cooked over charcoal giving it a nice BBQ flavour. The platter also contained sweetcorn fritters, which all three of us thought were crisp and delicious; oven baked roti stuffed with shredded cheese, carrots, potatoes & onion was a great veggie starter and garlic ‘n’ herb flatbread. While we were waiting for our mains LD and I had a wander round the restaurant and watched the chefs cooking over the hot coals in the open kitchen. We got back to our table just as our mains were being served. I’d gone for the Shrimp & mango ‘one pot’ which comes with sweet potatoes, tomato, garlic, ginger, Caribbean spices, green seasoning and sweet onion chutney. 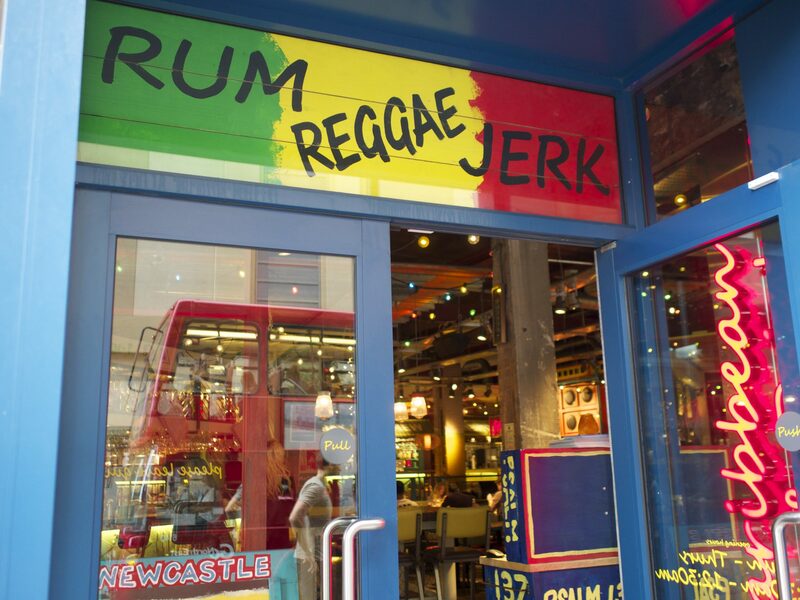 One Pots are rich, slowly simmered & uniquely Caribbean, served with traditional rice ‘n’ peas – £9.70 each. 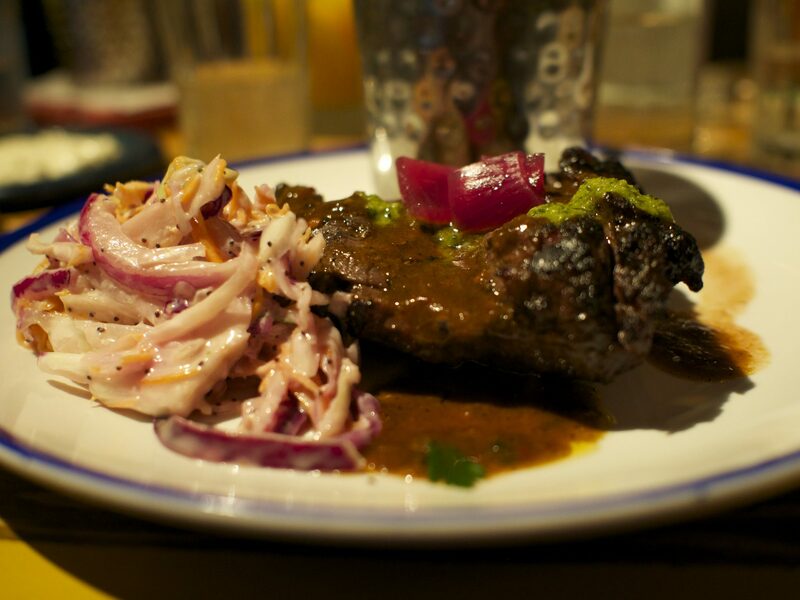 It had a spicy coconuty sauce, a range of flavours and just the right amount of heat to it. The prawns were juicy and one came with its shell on for a little added wow factor. It came with rice and peas (which are actually beans, for those who aren’t familiar with Caribbean cuisine! If anyone can tell me why I’d be intrigued!) There was also some flatbread to mop up the sauce with. We had some fried plantain on the side (something we love and cook at home) and were pleased that it was cooked perfectly. LD enjoyed some too when I told him it was just like banana (his favourite!) We also had some fried dumplings, which were tough and chewy. 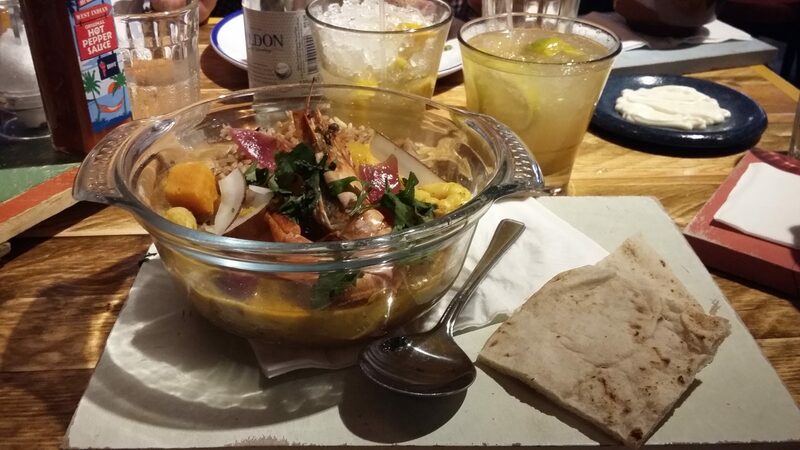 This may be how they are served up in the Caribbean, but they weren’t to our taste. Mr Toon Lunch Club went for Grilled jerk marinated lamb rump steak, which comes medium cooked with fresh green seasoning & sweet onion chutney. 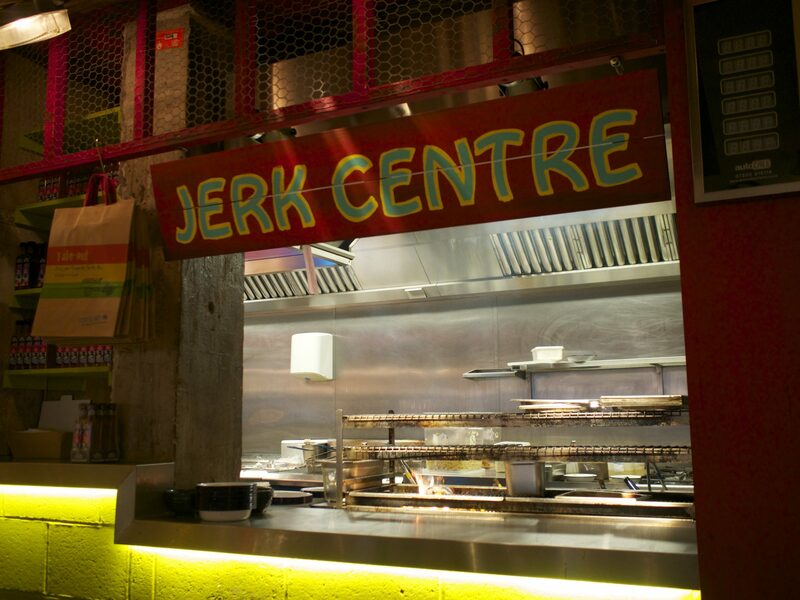 He chose a classic jerk glaze and sweet potato fries (there are a choice of sides) – £12.50. He thought that the lamb was more well done than medium and had a bitter aftertaste, perhaps from the BBQ. He thought the sweet onion chutney was a nice accompaniment, the sweet potato fries were tasty and the slaw added some creamy crunch. 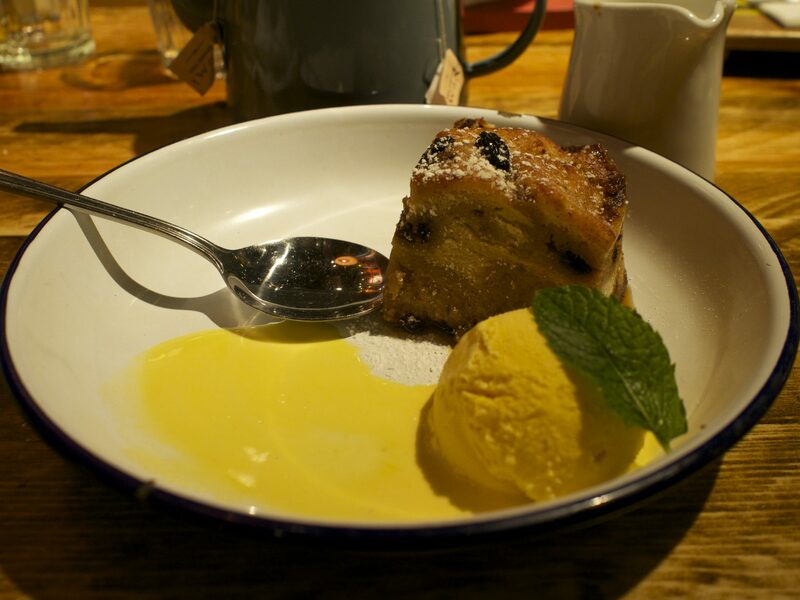 The Rum & Raisin Bread Pudding is slow baked with dark rum, cinnamon, raisins & brown sugar and served with vanilla ice-cream (£4.85). It was delicious, total comfort food with lovely buttery caramel flavours and the ice cream was the perfect accompaniment. 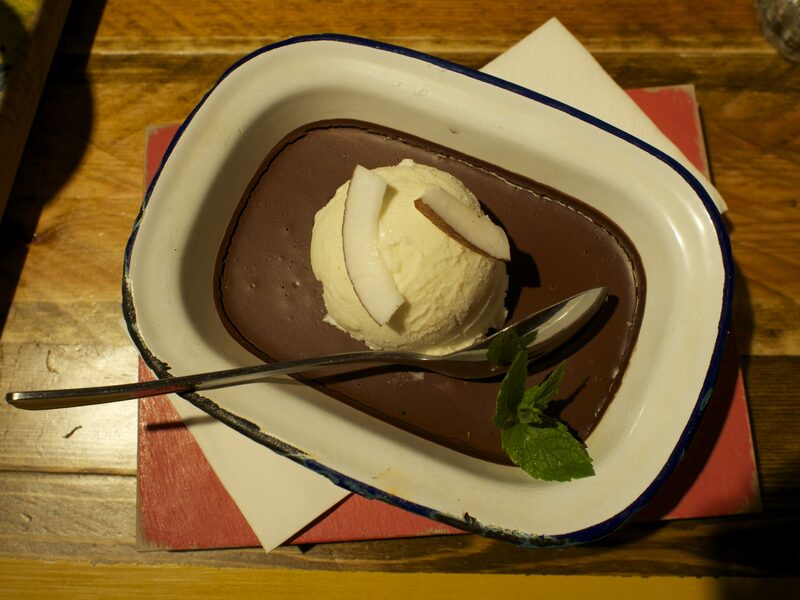 The spiced chocolate pot (set chocolate cream, served with coconut shavings & coconut ice cream £4.85) was one for lovers of dark chocolate – serious stuff, very decadent with a very spicy kick. I’d recommend sharing it because the portion is generous and it’s so rich. We said our goodbyes to Davide and the other friendly staff. 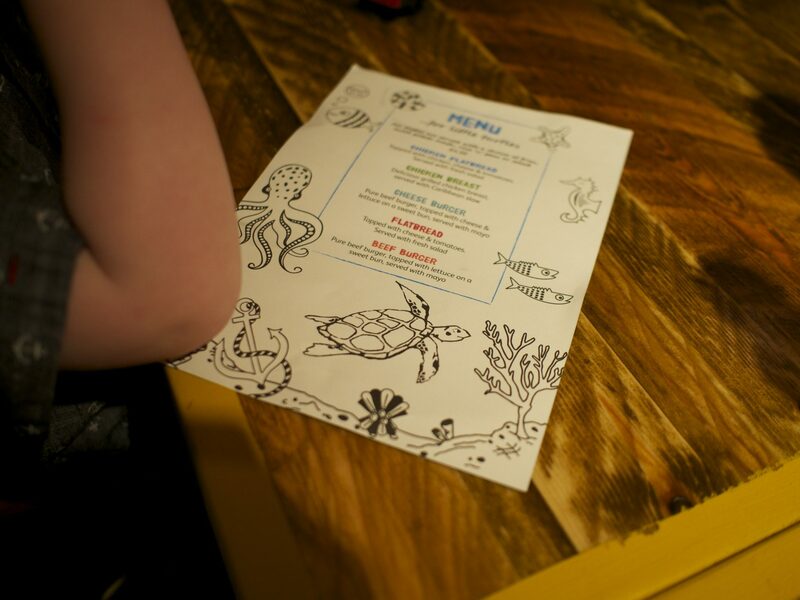 Although there were a couple of little issues on this visit we are big fans of Turtle Bay and will be back as we love the spicy flavours and fun vibe. Despite being a chain restaurant this place isn’t run-of-the-mill or formulaic, which is a real achievement. I highly recommend the one pots – for under £10 you get a delicious, hearty meal. And I will definitely be having that bread and butter pudding again!